I’ve written before about Hillary Clinton’s unethical and (presumably) illegal actions, both in terms of her email server and the Clinton Foundation. We’ve probably only seen the tip of the iceberg, but one thing that can be said with confidence is that there is strong scent of corruption, cronyism, and insider dealing that surrounds Mrs. Clinton. Every day seems to bring new evidence. Writing for the Wall Street Journal, Kimberly Strassel puts it in blunt terms. A Hillary Clinton presidency will be built, from the ground up, on self-dealing, crony favors, and an utter disregard for the law. This isn’t a guess. …It comes in the form of a memo written in 2011 by longtime Clinton errand boy Doug Band, who for years worked simultaneously at the Clinton Foundation and at the head of his lucrative consulting business, Teneo. It is astonishingly detailed proof that the Clintons do not draw any lines between their “charitable” work, their political activity, their government jobs or (and most important) their personal enrichment. Every other American is expected to keep these pursuits separate, as required by tax law, anticorruption law and campaign-finance law. For the Clintons, it is all one and the same—the rules be damned. …Any nonprofit lawyer in America knows the ironclad rule of keeping private enrichment away from tax-exempt activity, for the simple reason that mixing the two involves ripping off taxpayers. Every election lawyer in the country lives in fear of stepping over the lines governing fundraising and election vehicles. The Clintons recognize no lines. Here’s the lasting takeaway: The Clintons…know the risks. And yet they geared up the foundation and these seedy practices even as Mrs. Clinton was making her first bid for the presidency. They continued them as she sat as secretary of state. They continue them still, as she nears the White House. This is how the Clintons operate. They don’t change. 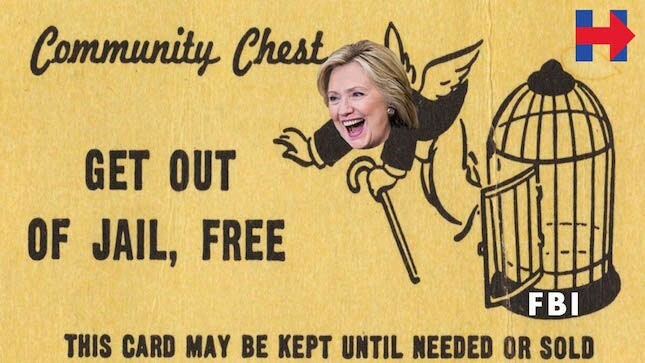 Any one who pulls the lever for Mrs. Clinton takes responsibility for setting up the nation for all the blatant corruption that will follow. And we’ll start with the example of a Swiss bank that was being wrongfully persecuted by the American government for the supposed crime of protecting the privacy of clients (i.e., for following Swiss law inside Switzerland). In other words, I’m very sympathetic to the bank. But I’m not a big fan of the Clintons using the bank’s legal woes as an opportunity to raise a bunch of money in exchange for a favorable disposition. Yet that’s exactly what happened, as reported by the U.K.-based Guardian. In February 2009, the IRS sued UBS and demanded that it disclose the names of 52,000 possible American tax evaders with secret Swiss bank accounts. …On 19 August 2009, it was announced that UBS would pay no fine and would provide the IRS with information about 4,450 accounts within a year. Since the deal was struck, disclosures by the foundation and the bank show the donations by UBS to the Clinton Foundation growing “from less than $60,000 through 2008 to a cumulative total of about $600,000 by the end of 2014”… The bank also teamed up with the foundation on the Clinton Economic Opportunity Initiative, creating a pilot entrepreneur program through which UBS offered $32m in loans to businesses, the newspaper reported. Other UBS donations to the Clinton Foundation include a $350,000 donation from June 2011 and a $100,000 donation for a charity golf tournament. Additionally, UBS paid more than $1.5m in speaking fees to Bill Clinton between 2001 and 2014, the newspaper reported. James Freeman, in a column for the Wall Street Journal, cites two other examples of Clinton-style pay-to-play. The first example deals with Morocco. We now know from emails published by WikiLeaks that before Mrs. Clinton formally launched her campaign, she arranged for the king of Morocco to donate $12 million to Clinton Foundation programs. What’s significant about the Morocco case is that for years the Clintons peddled the fiction that donors write checks simply to support wondrous acts of Clintonian charity. But that cover story isn’t available here. Mrs. Clinton’s trusted aide Huma Abedin put it in writing: The Moroccans agreed to the deal on the condition that Mrs. Clinton would participate at a conference in their country. Panicked Clinton-campaign aides persuaded Mrs. Clinton to avoid such a trip before launching her candidacy—and the foundation got the king to settle for Bill and Chelsea Clinton. But the record is clear. The king wanted the access, influence and prestige that all strongmen crave from legitimate democracies. The second example comes from Kazakhstan. This wasn’t the first time the Clintons satisfied such a desire while collecting megadonations. When it comes to human rights, Kazakhstan’s dictator, Nursultan Nazarbayev, makes Morocco’s king look enlightened. In power since 1991 and never freely elected, Mr. Nazarbayev must have enjoyed the sensation of Mr. Clinton endorsing him to lead an international election-monitoring group in 2005. The Kazakh strongman knows how to return a favor, and he granted valuable mining concessions to Clinton Foundation donors. 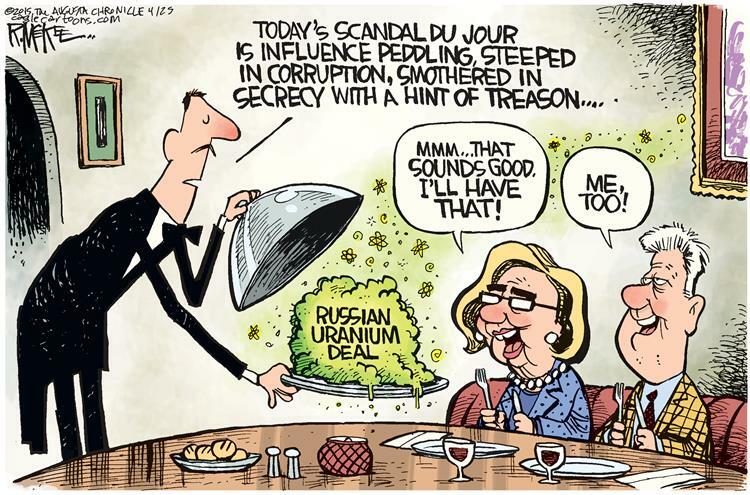 The donors then built a global uranium powerhouse that was eventually sold to the Russians in a deal that required the 2010 approval of a U.S. government committee that included Mrs. Clinton’s State Department. There’s a lot more material I could share, but the purpose of today’s column isn’t to demonstrate Hillary’s recent unethical behavior. Instead, I want to show how she has a decades-long pattern of using government for self-advancement and self-enrichment. And I’ll follow by drawing (what should be) a very obvious lesson about public policy. To keep today’s column manageable, let’s review just two examples. First, let’s go back more than 20 years to the early days of Bill Clinton’s presidency. Peggy Noonan explains Hillary’s attempt to replace the career professionals at the White House travel with cronies from Arkansas. Why don’t people like Hillary Clinton? …Why, when some supposed scandal breaks and someone says she’s hiding something, do people, including many of her supporters, assume it’s true? …the scandals stretch back…all the way to her beginnings as a national figure. …It was early 1993. …It was the first big case in which she showed poor judgment, a cool willingness to mislead, and a level of political aggression that gave even those around her pause. It was after this mess that her critics said she’d revealed the soul of an East German border guard. Why so many stories? Because the real one wasn’t pretty. It emerged in contemporaneous notes of a high White House staffer that the travel-office workers were removed because Mrs. Clinton wanted to give their jobs—their “slots,” as she put it, according to the notes of director of administration David Watkins—to political operatives who’d worked for Mr. Clinton’s campaign. And she wanted to give the travel office business itself to loyalists. There was a travel company based in Arkansas with long ties to the Clintons. There was a charter travel company founded by Harry Thomason, a longtime friend and fundraiser, which had provided services in the 1992 campaign. Unsurprisingly, Mrs. Clinton lied about her efforts to turn the travel office into a goodie for a crony. All along Mrs. Clinton publicly insisted she had no knowledge of the firings. Then it became barely any knowledge, then barely any involvement. When the story blew up she said under oath that she had “no role in the decision to terminate the employees.” She did not “direct that any action be taken by anyone.” In a deposition she denied having had a role in the firings, and said she was unable to remember conversations with various staffers with any specificity. A General Accounting Office report found she did play a role. But three years later a memo written by David Watkins to the White House chief of staff, recounting the history of the firings, suddenly surfaced. (“Suddenly surfaced” is a phrase one reads a lot in Clinton scandal stories.) It showed Mrs. Clinton herself directed them. By the way, the most disgusting part of this scandal is the way Hillary sicced the government on Mr. Dale. The White House pressed the FBI to investigate, FBI agents balked—on what evidence?—but ultimately there was an investigation, and an audit. …Billy Dale was indicted on charges including embezzlement. The trial lasted almost two weeks. …The jury acquitted him in less than two hours. In other words, expect to see more Lois Lerner-type scandals if Hillary reaches the White House. There should be little doubt that she will use the power of government to attack her political opponents. Now let’s go back even further in time, to the late 1970s when Hillary Clinton somehow managed to turn a $1,000 “investment” into $100,000 is less than one year. The New York Times reported on this rather implausible story back in 1994. 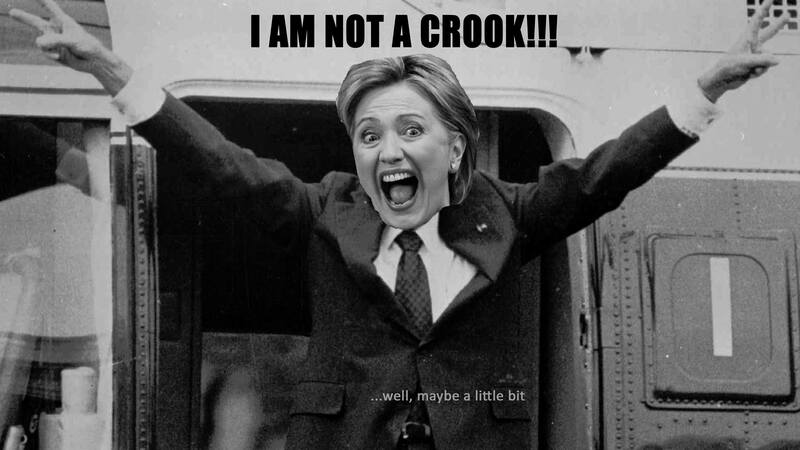 …in 1978 Hillary Rodham Clinton invested $1,000 in commodities futures and that the investment grew in 10 months of trading in the notoriously volatile market into a gain of nearly $100,000. Seeking to dispel suggestions that the trades were risk-free and improperly arranged by an Arkansas lawyer who represents one of the state’s most powerful companies, the White House issued a statement this afternoon that said the First Lady had put up her own money and that she bore all of the financial risks in a marketplace where three out of four investors lose money. The officials also released a year’s worth of brokerage statements from one of Mrs. Clinton’s two accounts. …Mrs. Clinton based her trades on information in The Wall Street Journal. In other words, we’re supposed to believe that Mrs. Clinton, a complete novice, with no experience in the private sector or the investment business, suddenly decided to sink money into a very complex type of speculation. And we’re supposed to believe that she made a series of very clever market-timing decisions and turned small amount of money into a big pile of money. Needless to say, even the reporter for the New York Times couldn’t help but express skepticism and doubt. Particularly since nobody was willing to back up Mrs. Clinton’s story. The White House insisted today that Mrs. Clinton received no improper financial assistance on the trades from the lawyer, James B. Blair, a close friend who at the time was the top lawyer for Tyson Foods of Springdale, Ark., the nation’s biggest poultry company. Mr. Blair has said that he had suggested that she get into the commodities market, and that he used his knowledge of trading to guide her along the way. During Mr. Clinton’s tenure as Governor, Tyson benefited from several state decisions, including favorable environmental rulings, $9 million in state loans, and the placement of company executives on important state boards. …brokers in the Springdale office of Refco where Mrs. Clinton executed the trades, including the one she describes as her personal broker, said in interviews in recent weeks that they have no recollection of ever talking with her about the trades. Mrs. Clinton and Mr. Blair have said that they used Robert L. (Red) Bone, the broker who founded the Springdale office of Refco, a Chicago commodities firm, to execute the trades. But Mr. Bone, who worked at Tyson for 13 years until 1973, insisted in several interviews this month that he has no recollection of ever trading for Mrs. Clinton or talking to her about commodities trades. Here’s the bottom line. Back when this scandal surfaced in the 1990s, I talked to several people in the financial markets, every one of whom was 99.99 percent certain that Hillary was the beneficiary of a gift (if they were favorable to her) or a bribe (if they were unfavorable to her). And they all agreed that somebody on the inside arranged to give her, after the fact, the winning side of trades in order to make it look like she was simply a good investor. Moreover, every single Democrat that I talked to admitted (but only off the record) that she was the recipient of a gift or a bribe. And she hasn’t changed in the past 38 years. Government is a vehicle for personal advancement and personal enrichment. Now let’s conclude by bring public policy into the discussion. Corrupt politicians are able to amass lots of power and money because government is big and powerful. And I’m not making a partisan argument. Indeed, here are the same bullet points I used when pointing out the empty futility of Trump’s plan to “drain the swamp” and end DC corruption. Insiders with connections can get a slice of a mammoth $4 trillion budget. Insiders with connections can get special favors in a convoluted 75,000-page tax code. Insiders with connections can use the massive regulatory state to tilt the playing field. Insiders with connections can use protectionism to thwart competitors. All I’m saying is that Hillary Clinton both supports big government and profits from big government. And as the public sector gets larger, don’t be surprised when you find out that Hillary and her cronies have figured out additional ways of feathering their own nests. P.S. By the way, I do recognize that there’s an infinitesimally small possibility that Hillary’s story about cattle futures is accurate. I also recognize, for what it’s worth, that there’s a greater-than-zero possibility that aliens will invade the earth tomorrow. But neither of these hypotheses is remotely plausible (though if I had to pick, I’d go with the alien invasion for the simple reason that it would bring great joy to Paul Krugman). P.P.S. Plenty of Republicans will get rich as well as Hillary expands government. If you don’t believe me, just consider how many of them collect campaign cash in exchange for votes in favor of ethanol and the Export-Import Bank. Back in 2009, I shared some academic research showing the unsavory link between lobbying expenditures and bailout cash from TARP. Just in case anybody naively thinks that such distasteful favor-swapping no longer occurs, here’s some more evidence. A column in the International Business Times summarizes some new scholarly research, once again showing the corrupt nexus between big government and the financial sector. Needless to say, the companies aren’t giving special treatment to these politicians because of altruism. For every quid, there’s a quo. …the influence may operate in the other direction, too. Looking at which particular financial institutions are lending to lawmakers, the researchers found that underperforming banks provided new — and bigger — loans to more finance committee members than to other Members of Congress. They say that because those firms could face more regulatory scrutiny and financial instability from new federal policies, they are more reliant on strong political connections than competitors that are in better shape. In other words, if you can’t succeed by competing in the marketplace, then curry favor with politicians so that you can be propped up by big government. Though companies presumably have learned from the Countrywide scandal to be more cautious about disguising the fact that they are dispensing goodies. By the way, I’m not exactly shocked that the congressional ethics committee (wow, talk about an oxymoron) didn’t even bother slapping the wrists of the politicians who got the favors. After all, imagine how much harder it would be to raise campaign cash if politicians couldn’t use the coercive power of government to swap favors with interest groups. But the folks on Capitol Hill are amateurs compared to Bill and Hillary Clinton. The Wall Street Journal explains that the charity they set up has basically been a scam to advance their personal and political interests. The foundation served for years as a conduit for corporate and foreign cash to burnish the Clinton image, pay for their travel expenses for speeches and foreign trips, and employ their coterie in between campaigns or government gigs. Donors could give as much as they wanted because the foundation is a “charity.” …the foundation promised the White House when Mrs. Clinton became Secretary of State that the foundation would restrict foreign donations and get approval from the State Department. It turned out the foundation violated that pledge, specifically when accepting $500,000 from Algeria. The foundation also agreed to disclose donor names but failed to do so for more than 1,000 foreign donors until the failure was exposed by press reports. Some readers may think it doesn’t matter where the money came from. What really counts is that the Clinton Foundation used the money to make the world a better place, right? Um, not exactly. Only pennies on the dollar were used for charitable purposes. The rest of the money was a slush fund to finance the Clinton family’s political machinery. If you think this sounds unfair to the Clinton Foundation, you may change your mind after reading this article from the Daily Caller. Here are some excerpts. Clinton Foundation officials have ignored virtually all of the “best practices” urged by good governance organizations for public charities… Most glaringly, for example, the foundation’s insular board of directors…are among President Bill and Hillary Clinton’s closest and richest friends. The “good governance” movement in the nonprofit field has been gathering strength for two decades, but it clearly has yet to reach the Clinton Foundation. 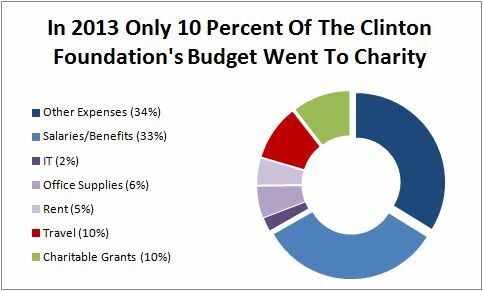 …Good governance groups also encourage well-managed non-profits to create dedicated oversight committees… The Clinton Foundation has none of those committees, according to its Internal Revenue Service 990 tax filings. …the Clinton Foundation spent $12.6 million on Bill Clinton’s 60th birthday party. The foundation recorded the expense as “fundraising expenses.” …In December 2014 the board approved a $395,000 pay package for Braverman to become the new CEO. But the next month he abruptly resigned. Politico reported that Clinton’s insular staff were appalled at Braverman’s attempts at reforms. Braverman never explained the reasons for his departure. But Politico believes it was a backlash from Bill and Hillary’s hardened loyalists and “mega-donors” who chafed at the notion of more openness and transparency. If the Clinton Foundation was a truly private organization, it wouldn’t be anybody’s business whether how it operated. Moreover, it would be hypocritical for me to make that accusation. After all, I’m on the Board of the pro-tax competition Center for Freedom and Prosperity and the other Board members are long-time friends. 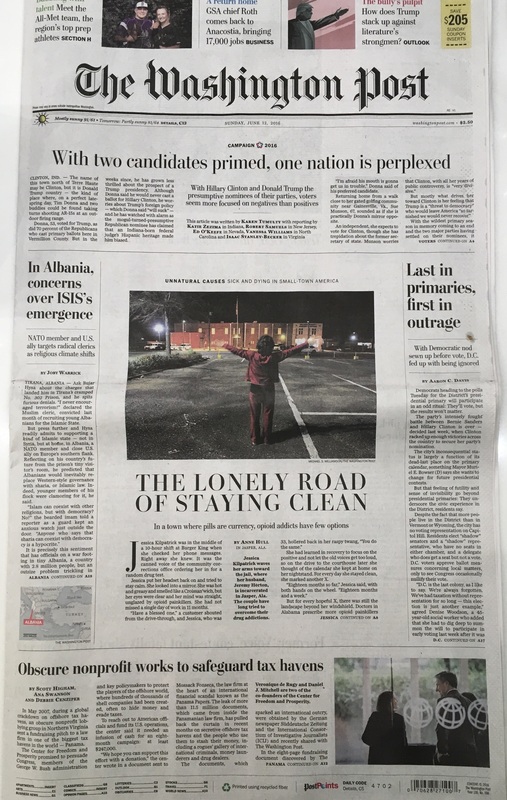 And we don’t have a bunch of oversight committees since CF&P’s annual budget has averaged less than $200,000, which means such things don’t seem necessary (though we’ve managed to do a lot with a little, even earning a front-page attack from the Washington Post). The real issue, however, is whether a nonprofit organization is genuinely private. In the case of the Clinton Foundation, ” the organization seemingly operated as a “pay-to-play” gatekeeper for goodies from the State Department? Consider these blurbs from a column in the Wall Street Journal. 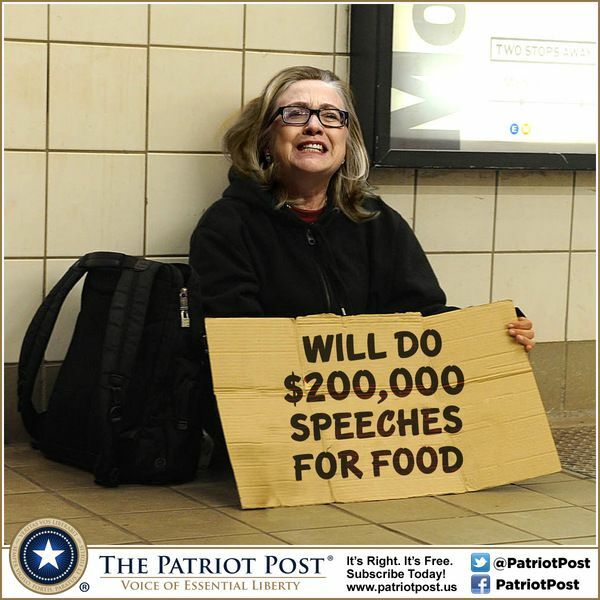 …more than two dozen companies and groups and one foreign government paid former President Bill Clinton a total of more than $8 million to give speeches around the time they also had matters before Mrs. Clinton’s State Department, according to a Wall Street Journal analysis. Fifteen of them also donated a total of between $5 million and $15 million to the Bill, Hillary and Chelsea Clinton Foundation, the family’s charity… In several instances, State Department actions benefited those that paid Mr. Clinton. Here’s one of the examples discussed in the column. …the capital of the United Arab Emirates asked for a facility to clear travelers for U.S. entry before they boarded planes so they could avoid delays when arriving in the U.S. …U.S.-based airlines, which have no direct flights between Abu Dhabi and the U.S., opposed the idea as a giveaway to the government-owned airline, Etihad Airways. …While Mrs. Clinton’s State Department and the Department of Homeland Security were working out a “letter of intent” with Abu Dhabi for the facility, Mr. Clinton sought permission to give a paid speech in Abu Dhabi. …On Dec. 6, 2011, U.S. officials signed the letter of intent. One week later, Mr. Clinton gave a 20-minute talk on climate change to the Abu Dhabi government environmental gathering. He collected $500,000, his wife’s disclosure report shows. In December 2012, Mr. Clinton sought approval for another speech in Abu Dhabi before the World Travel and Tourism Council…the speech was sponsored by three Abu Dhabi tourism agencies, all owned by the government. …Mr. Clinton gave a keynote address on the value of tourism. He was paid $500,000, his wife’s disclosure filings say. One week later, the U.S. and Abu Dhabi signed the final agreement for the facility. …Mrs. Clinton’s spokesman said it was “farcical” to suggest any connection between the speeches and the facility’s opening. The “farcical” part of this is the notion that a) Bill Clinton is an expert on the “value of tourism”, and b) that his supposed expertise on the topic is worth $500,000. Though I have to give Bill Clinton credit for getting good deals. When I give a speech, I’m content with simply getting the organizer to pay for a coach ticket and a hotel room. But the L.A. Times reveals that Bill Clinton gets much better treatment, not even counting the giant piles of money funneled to the Clinton Foundation. Clinton changed the rules of political speech-making for cash. He would push not just corporate hosts but also nonprofits and universities to pay fees well beyond what they were accustomed to. 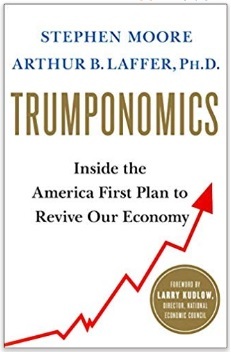 …He and Hillary Clinton would become so skilled at churning profits out of their lectures that they would net more than $150 million from speaking alone after he left the White House. …refusing questions that were not screened by his staff in advance. There is the nearly $1,400 bill for a day’s worth of phone calls from San Francisco’s Fairmont Hotel and the $700 dinner for two. …Clinton would demand in his contract to be shuttled by private jet from San Francisco to UC Davis, where he spoke at the Mondavi Center. The center had to appeal to its network of donors to find someone able to fly him the 70 miles, something it had never done and hasn’t since. By the way, I don’t object to Bill Clinton being treated far better than me. But I do get agitated if he’s getting goodies because some interest group is participating in a pay-for-play scam based on favors from government. And that does come out of my pocket, as well as from the pockets of every other taxpayer, consumer, and worker. Speaking of pay-to-play, here’s a story from the Washington Examiner about some unseemly behavior from the Clinton Foundation. The only good news is that the proposed shakedown of Petronas apparently didn’t happen, though it’s unclear from the records whether this was because the company said no or because the idea was so over-the-top corrupt that it was rejected by the State Department. Let’s close with a really nauseating example of Clintonian sleaze. A story in National Review exposes how the family’s Foundation victimized the people of Haiti. Their story goes back to 2010, when a massive 7.0 earthquake devastated the island, killing more than 200,000 people, leveling 100,000 homes, and leaving 1.5 million people destitute. The devastating effect of the earthquake on a very poor nation provoked worldwide concern and inspired an outpouring of…some $10.5 billion in aid, with $3.9 billion of it coming from the United States. But all this money hasn’t helped the poor people of Haiti. …very little of this aid money actually got to poor people in Haiti. …Port-au-Prince was supposed to be rebuilt; it was never rebuilt. Projects aimed at creating jobs proved to be bitter disappointments. Haitian unemployment remained high, largely undented by the funds that were supposed to pour into the country. Famine and illness continued to devastate the island nation. Why didn’t all the money have a positive impact? Part of the answer is that foreign aid generally ineffective. Another part of the answer is that Haiti has statist policies that inhibit growth and prosperity. But a final part of the answer is that a bunch of grifters diverted the money to their own pockets. Where did it go? …Bill Clinton was the designated UN representative for aid to Haiti. …his wife Hillary was the United States secretary of state. She was in charge of U.S. aid allocated to Haiti. …an interesting pattern involving the Clintons and the designation of how aid funds were used. …a number of companies that received contracts in Haiti happened to be entities that made large donations to the Clinton Foundation. …For example, the Clinton Foundation selected Clayton Homes, a construction company owned by Warren Buffett’s Berkshire Hathaway, to build temporary shelters in Haiti. Buffett is an active member of the Clinton Global Initiative who has donated generously to the Clintons as well as the Clinton Foundation. …the contract was never competitively bid for. Clayton offered to build “hurricane-proof trailers” but what they actually delivered turned out to be a disaster. The trailers were structurally unsafe, with high levels of formaldehyde and insulation coming out of the walls. There were problems with mold and fumes. The stifling heat inside made Haitians sick and many of them abandoned the trailers because they were ill-constructed and unusable. 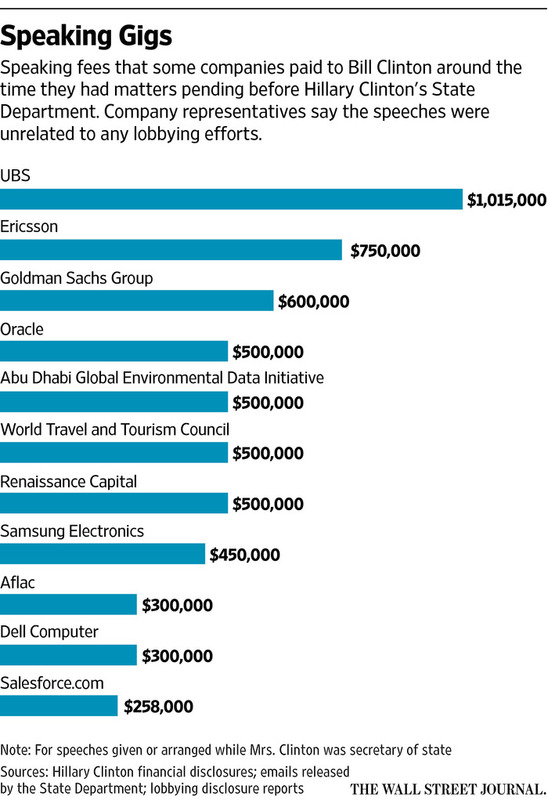 Here’s another example of pay-to-play favoritism. The Clintons also funneled $10 million in federal loans to a firm called InnoVida, headed by Clinton donor Claudio Osorio. …Normally the loan approval process takes months or even years. …InnoVida had not even provided an independently audited financial report that is normally a requirement for such applications. This requirement, however, was waived. On the basis of the Clinton connection, InnoVida’s application was fast-tracked and approved in two weeks. The company, however, defaulted on the loan and never built any houses. An investigation revealed that Osorio had diverted company funds to pay for his Miami Beach mansion, his Maserati, and his Colorado ski chalet. Gee, isn’t government a great racket! Here’s one final oleaginous example. In 2011, the Clinton Foundation brokered a deal with Digicel, a cell-phone-service provider seeking to gain access to the Haitian market. The Clintons arranged to have Digicel receive millions in U.S. taxpayer money to provide mobile phones. The USAID Food for Peace program, which the State Department administered through Hillary aide Cheryl Mills, distributed Digicel phones free to Haitians. Digicel didn’t just make money off the U.S. taxpayer; it also made money off the Haitians. When Haitians used the phones, either to make calls or transfer money, they paid Digicel for the service. Haitians using Digicel’s phones also became automatically enrolled in Digicel’s mobile program. By 2012, Digicel had taken over three-quarters of the cell-phone market in Haiti. Digicel is owned by Denis O’Brien, a close friend of the Clintons. O’Brien secured three speaking engagements in his native Ireland that paid $200,000 apiece. These engagements occurred right at the time that Digicel was making its deal with the U.S. State Department. O’Brien has also donated lavishly to the Clinton Foundation, giving between $1 million and $5 million sometime in 2010–2011. Coincidentally the United States government paid Digicel $45 million to open a hotel in Port-au-Prince. If you’re not thoroughly nauseated, read the entire article for many more examples of pay-to-play sleaze. By the way, I’m not merely picking on the Clintons. Yes, they seem to be remarkably amoral in their approach to politics, but the underlying problem is that big government enables corruption regardless of who is in charge. P.S. Don’t forget that the Clinton Foundation easily got approved by the IRS while innocuous Tea Party groups were stonewalled. Another typical example of government in action. My main problem with Hillary Clinton is that she not only supports the bloated and enervating welfare state that already exists, but she wants to make it even bigger. Indeed, there’s only a very small gap between her and crazy Bernie Sanders when you examine their voting records. There’s only a trivially small difference…between Hillary Clinton’s lifetime rating of 10.6 from the National Taxpayers Union and Bernie Sanders’ lifetime rating of 9.4. They both earned their failing grades by spending other people’s money with reckless abandon. That being said, I’m disgusted and outraged by her dishonest and corrupt behavior. The rule of law is one of the most important building blocks of a just and prosperous society, so it’s both morally nauseating and economically destructive when members of the elite enjoy special treatment. Josh Barro definitely isn’t a member of the vast right wing conspiracy, so his list of Hillary’s ethical lapses should carry extra weight. It’s possible that Clinton and Lynch were just catching up — “a social meeting,”… Similarly, it’s possible foreign governments donated to the Clinton Foundation because they viewed it as the most efficient available philanthropic opportunity, without regard for the favorable impression it might make on Bill and Hillary Clinton. It’s possible Goldman Sachs paid Hillary Clinton $675,000 for three speeches because they thought she would be really interesting, not because they thought the payment might help the bank make a favorable impression on a potential future president. It’s possible a major Clinton donor ended up on a State Department nuclear advisory board for perfectly innocent reasons, and that there were no untoward effects from top Clinton staffers being simultaneously on State Department and private payrolls. …The list goes on and on. …the Clintons have no apparent concern for appearances of impropriety, as long as they believe their actions cannot get them in trouble with the law. And the Clintons get away with things that would land ordinary Americans in jail, so you have to give them credit for knowing how to exploit their political connections and power. And that has a lot of people legitimately upset. The Washington Examiner opined about Hillary’s free pass from the FBI. The Founding Fathers embraced principles that transcended their own human weaknesses and those of their posterity. They created a system in which process and law could check base personal ambition, favoritism and other low and common temptations. The idea was to put in place a system that would survive incompetent and corrupt leaders. …the public witnessed what happens when the system fails. Special people receive special treatment. Equal protection under the law turns out to be a fancy fiction. Some people are more equal than others. …An average government official who spent five years breaking the rules to frustrate the Freedom of Information Act, and who recklessly compromised classified information (more than 100 times), including top secret information (eight times), would serve time in federal prison. But Hillary Clinton is almost certain to suffer no consequences at all. But what about Hillary supposedly having no bad intent, as the FBI Director offered up as a distraction? This is bunk. Intention is something this law does not require. “Gross negligence” alone is sufficient grounds for prosecution because the officials to which it applies are entrusted with secrets that bring greater obligations than average citizens must bear. Precisely because of that greater risk of prosecution, high-ranking government officials who handle classified information, including Clinton, sign agreements that spell out their legal jeopardy. Jacob Sullum of Reason also addresses this topic. For those who think Rudy Giuliani is perhaps exaggerating because of his support for Trump, then consider the views of former Attorney General Michael Mukasey, who is part of the #neverTrump camp. It is a felony for anyone entrusted with lawful possession of information relating to national defense to permit it, through “gross negligence,” to be removed from its proper place of custody and disclosed. “Gross negligence” rather than purposeful conduct is enough. …As an example of the kind of information at stake, he described seven email chains classified at the Top Secret/Special Access Program level. These were the emails that the government had said earlier are so sensitive that they will never be disclosed publicly. …To be “extremely careless” in the handling of information that sensitive is synonymous with being grossly negligent. Needless to say, ordinary Americans would never get this kind of preferential treatment. David French, a former military officer, explains what would happen to someone in the armed forces who treated national security with the same degree of disdain. I served ten years as an Army lawyer, and one of my responsibilities was advising the command on matters of military justice, including incidents where soldiers mishandled classified information. And if Hillary Clinton was a soldier, she would lose her security clearance, face administrative action, and face the specter of criminal prosecution. I’ve not only seen the pattern, I’ve also participated in the process. …If Hillary were Captain Clinton instead of the presumptive Democratic nominee and wife of a disbarred former president, the following things would occur, more or less simultaneously. First, the command would immediately suspend her security clearance. …Next, her commander would probably draft an administrative reprimand. …a career-killer if placed in an officer’s permanent file…Finally, the command would consider criminal charges. …the officer would in all likelihood not only violate the Espionage Act (the same statute at issue in Clinton’s case) but also the Uniform Code of Military Justice. …In other words, her actions would have ended her military career, and she would have been fortunate to resign in lieu of enduring a court-martial. 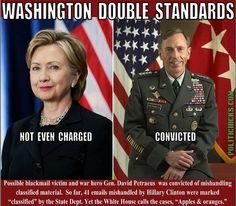 In her post-military civilian life, she would have been unemployable in any serious government position… To say that Hillary Clinton is unfit to be commander-in-chief is to give her too much credit. It implies that she might be fit for other positions of responsibility. She’s not fit to be POTUS, and she’s not fit to be a private. But there is a silver lining to the dark cloud of Hillary favoritism. We can enjoy some dark humor while the rule of law is further eroded. The clever folks at Reason TV put together this video showing how Hillary Clinton has blatantly lied about her actions. By the way, Hillary’s negligence and disdain for national security is just the tip of the iceberg. She already has engaged in countless other shady acts, such as allowing her top aide, Huma Abedin, to be on the government payroll while simultaneously getting payoffs as an influence peddler. Or consider the Clinton Foundation. Investor’s Business Daily makes a compelling case that it’s nothing but a racket. …the Clinton Foundation gathered some $100 million from a variety of Gulf sheikhs and billionaires, not to mention taking in millions of “donations” from private businesses that later benefited from their supposed “charitable” largesse. Some of those who gave big bucks to the Clintons had interests that were, to put it mildly, not in keeping with U.S. interests. …now comes a more serious, far-reaching question: Is the entire Clinton Foundation so full of conflicts of interest and questionable dealings that it amounts to little more than a massive fraud intended solely to enrich its presidential namesake and his family? Charles Ortel, a Wall Street financial analyst, who pored over the Clinton Foundation’s books, filings and records, thinks so. He concluded that “a substantial portion of Clinton Foundation activities is certainly not ‘charitable’ or ‘tax-exempt’ in the accepted legal senses…” the nonprofit watchdog Charity Navigator removed the Bill, Hillary and Chelsea Clinton Foundation from its list of charities because of its “atypical business model.” …Getting rich isn’t a crime. But it might be if you did it in the guise of being a tax-free humanitarian charity, interested only in the betterment of humankind. The Washington Examiner also has looked at the Clinton Foundation’s dodgy finances and activities. The Clinton Global Initiative has a curious record of leaving its projects unfinished, despite receiving multiple large donations from foreign interests that could benefit if Hillary Clinton is elected president (and may have already benefited from her service at the State Department). 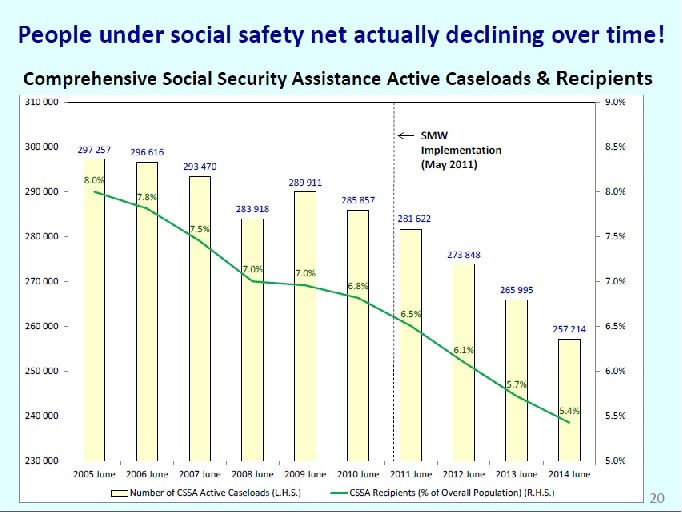 …the initiative has completed fewer than half of the commitments made since 2005. Thirty-six percent of them are listed as being “in progress.” Many others are listed as “stalled,” “unfulfilled,” or haven’t had any progress reported in at least two years. This may just be a sign of bad timing or ineffective philanthropy, but when combined with the rest of the information available about the Clintons’ philanthropic activities, it hints at something more sinister. …accepted a great deal of money in donations from businesses and foreign governments that had a lot to gain from her help. Here one of the examples that certainly seems tawdry, if not sinister. In one well-known case, a group of Canadian mining magnates made millions in undisclosed donations to the Clinton Foundation, and a Russian bank closely linked to the Kremlin paid Bill Clinton $500,000 to give a single speech in Moscow. All of these parties involved in funneling money to the Clintons and their enterprises were part of a large mining deal that required approval from a government panel on which Clinton sat. We also have the Clintonian equivalent of Trump University, as outlined by Professor Jonathan Turley. Donald Trump has been rightfully criticized and sued over his defunct Trump University. There is ample support for claiming that the Trump University was fraudulent in its advertisements and operations. However, the national media has been…sidestepping a scandal involving the Clintons that involves the same type of fraud allegations. The scandal involves a dubious Laureate Education for-profit online college (Walden) and entails many of the common elements with other Clinton scandals: huge sums given to the Clintons and questions of conflicts with Hillary Clinton during her time as Secretary of State. Here are some of the sordid details. Laureate Education was sued over its Walden University Online offering, which some alleged worked like a scam designed to bilk students of tens of thousands of dollars for degrees. Students alleged that they were repeatedly delayed and given added costs as they tried to secure degrees, leaving them deeply in debt. …The respected Inside Higher Education reported that Laureate Education paid Bill Clinton an obscene $16.5 million between 2010 and 2014 to serve as an honorary chancellor for Laureate International Universities. …Various sites have reported that the State Department funneled $55 million in grants during Hillary Clinton’s tenure to groups associated with Laureate’s founder. That would seem a pretty major story… The Wall Street Journal reported that Laureate was able to “skirt” regulations on reporting “gainful employment” due to its large number of schools and students outside of the country… Laureate has come up in the Clinton email scandal. In her first year as Secretary of State, Clinton is quoted as directly asking that Laureate be included in a high-profile policy dinner — just months before the lucrative contract was given to Bill Clinton. …the size of the contract to Clinton, the grants from State and the complaints over alleged fraud should warrant a modicum of attention to the controversy. Let’s close with one final example of Clintonesque sleaze. She apparently thinks insider trading is a good idea so long as the insiders are members of her family. In 2012, Mezvinski, the husband of Chelsea Clinton, created a $325 million basket of offshore funds under the Eaglevale Partners banner through a special arrangement with investment bank Goldman Sachs. The funds have lost tens of millions of dollars predicting that bailouts of the Greek banking system would pump up the value of the country’s distressed bonds. …newly released emails from 2012 show that she and Clinton Foundation consultant, Sidney Blumenthal, shared classified information about how German leadership viewed the prospects for a Greek bailout. Clinton also shared “protected” State Department information about Greek bonds with her husband at the same time that her son-in-law aimed his hedge fund at Greece. …sharing such sensitive information with friends and family would have been highly improper. Federal regulations prohibit the use of nonpublic information to further private interests or the interests of others. The mere perception of a conflict of interest is unacceptable. 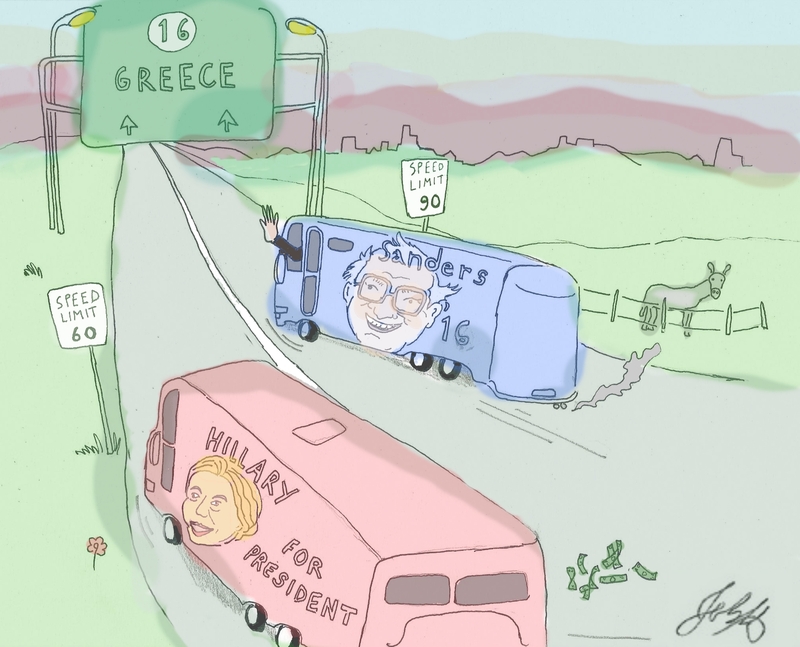 …monitoring Greece was part of Clinton’s job description, but, ethically, that does not mean that a family member should make bets that depend upon the actions of another family member. The point of all this is not that Hillary Clinton is sleazy and corrupt, though that’s one obvious conclusion. Instead, as I’ve demonstrated over and over again, the real lesson is that Washington is filled with people like her. And the reason that sleazy people gravitate to Washington is that we have Leviathan-sized government that enables politically well-connected people to obtain vast amounts of unearned and undeserved wealth. Including lots of Republicans, so this isn’t a partisan argument. Moreover, the problem almost certainly won’t get solved by electing different people. The only real solution is shrinking the size of government so there’s less opportunity for graft. Donald Trump and Hillary Clinton: The Tweedledee and Tweedledum of Statism? It’s not easy being a libertarian, especially in election years. Do you choose not to vote because you either reject your choices or even the entire principle of majoritarianism? Do you vote for the Libertarian Party even though that historically is nothing more than an ineffective way of sending a message? Or do you strategically cast a vote for a major-party candidate, fully aware that such a person inevitably will be a disappointment in office? If you’re normally in the last category, 2016 will be especially difficult. Actually, in terms of specifics rather than rhetoric, the tax cut is about the only market-oriented policy he’s embraced. On the negative side, he’s a big fan of protectionism, and that’s definitely not a recipe for prosperity. And he’s rejected much-need reforms to entitlement programs, which therefore makes his big tax cut totally unrealistic. But mostly it’s impossible to know what he really thinks for the simple reason that he probably doesn’t have deep thoughts about public policy (look at his flailing response to the question of debt). Even when he’s been specific, does anyone think he’s philosophically committed to what he has said while campaigning? So my assessment, as explained in this interview with Neil Cavuto, is that Trump is a grenade that will explode in an unpredictable fashion. So if you’re a libertarian and you choose to vote for Trump, just be forewarned that you’ll probably be standing next to the grenade when it explodes. So what about the alternative? Is there a libertarian argument for Hillary Clinton (other than the fact that she’s not Trump)? Can a politician who has spent decades promoting cronyism and redistributionism actually deliver good policy? Her husband actually did a good job when he was in the White House, but you can probably sense from this debate with Juan Williams on the Stossel show, I’m not overflowing with optimism that she also would preside over a shift to better policy. Here are a few additional thoughts on my debate with Juan. Keynesian economics doesn’t work, either in theory or in reality. And it’s laughable that the excuse for Keynesian failure is always that politicians should have spent more money. Entitlements will cripple America’s economy if left on auto-pilot. I’ve repeatedly made the point that we’re like Greece 10 or 15 years ago. By claiming at the time that there was no crisis, Greek politicians ensured that a crisis eventually would occur. The same thing is happening here. I’m skeptical about the claim that climate change is a crisis, but a revenue-neutral carbon tax is the most sensible approach if action genuinely is required. But the left prefers sure-to-fail (but very lucrative to cronies) industrial policy. Government can help create conditions for prosperity by providing core public goods like rule of law, but that only requires a very small public sector, not the bloated Leviathans that exist today. I’d be delighted to have a woman as President if she had the same principles and judgement as Margaret Thatcher. To be colloquial, that ain’t a description of Hillary Clinton. Last but not least, I was rhetorically correct but technically wrong about welfare dependency in Hong Kong. I said fewer than 3 percent of Hong Kong residents get public assistance when I should have said that Hong Kong spends less than 3 percent of GDP on redistribution. That’s an amazingly small welfare state, but it does ensnare about 5.5 percent of the population. Which if far lower than the share of the population getting handouts in America, so my point was still very much correct. Not that any of this matters in the short run since there’s a 99.9 percent probability that America’s next President will be perfectly content to let the country sink further into the swamp of statism. I wouldn’t be completely distraught to have Clinton in the White House in 2017. But before concluding that I’ve lost my mind, I’m thinking of Bill Clinton, not his far more statist (though similarly dodgy) spouse. You’ll see what I mean below. In a column for National Review, Deroy Murdock has some fun by pointing out that Bill Clinton just unintentionally attacked Barack Obama. Why is this an attack against Obama? For the simple reason that we haven’t had “broadly shared prosperity” during the Obama years. …a far-left Democrat has been president for the past seven years. The economic stagnation that Clinton critiqued is Obama’s. In Obama’s first or second year, Clinton might have managed to blame Baby Bush’s massive spending, red tape, and nationalizations for America’s economic woes and middle-class anxieties. But in Obama’s seventh year, this excuse has rusted. Obamanomics has narrowed prosperity, dismantled the middle class, and snatched the American Dream from America’s kids. Deroy then compared the economic recovery America enjoyed under Reagan with the far-less-robust recovery taking place today. In the 25 quarters since the Great Recession, Obama’s average, inflation-adjusted annual Gross Domestic Product growth has limped ahead at 2.2 percent. During Ronald Reagan’s equivalent interval, which began in the fourth quarter of 1982, such GDP growth galloped at 4.8 percent. 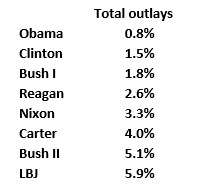 …The total-output gap between Reagan and Obama is a whopping $10.6 trillion. …Under Reagan, private-sector jobs expanded 23.6 percent, versus the average recovery’s 17.0 percent, and 11.6 percent under Obama — less than half of Reagan’s performance. If Obama had equaled Reagan, America would enjoy some 12.9 million additional private-sector jobs. …Under Reagan, real after-tax income per person grew 3.1 percent, compared with 2.5 percent growth in an average recovery, and 1.2 percent under Obama. 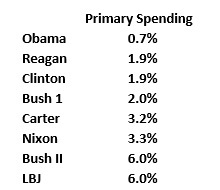 Had Obama delivered like Reagan, every American would have accumulated an extra $21,306 since June 2009. All of this analysis is music to my ears and echoes some of the points I’ve made when comparing Reagan and Obama. But I want to augment this analysis by adding Bill Clinton to the mix. And I want to make this addition because there’s a very strong case to be made that we actually had fairly good policy during his tenure. Economic freedom increased because the one significantly bad piece of policy (the failed 1993 tax hike) was more than offset by lots of good policy. 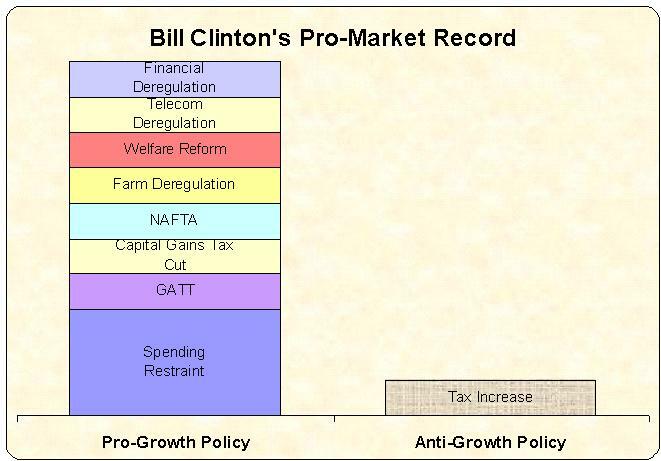 Here’s a chart I put together showing the pro-market policies that were adopted during the Clinton years along with the one bad policy. Seems like a slam dunk. At this point, I should acknowledge that none of this means that Bill Clinton deserves credit for the good policies. Most of the good reforms – such as 1990s spending restraint – were adopted in spite of what he wanted. But at least he allowed those policies to go through. Unlike Obama, he was willing to be practical. In any event, what matters is that we had better policy under Clinton than under Obama. And that’s why it’s useful to compare economic performance during those periods. 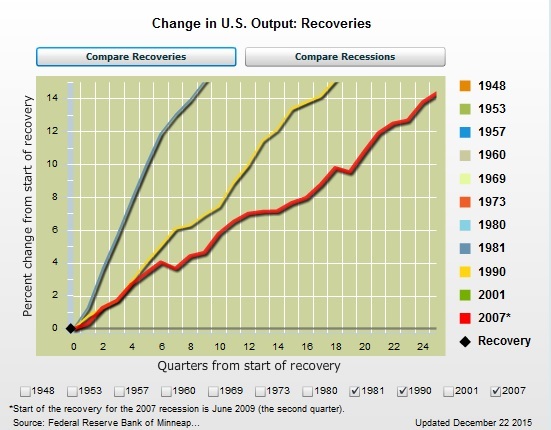 The Minneapolis Federal Reserve has a very interesting and useful webpage (at least to wonks) that allows users to compare various recoveries on the basis of GDP growth and job creation. 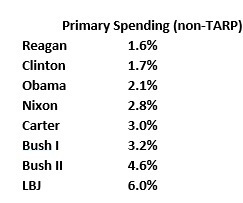 I’ve used this data to compare Reagan and Obama, so now let’s add the Clinton years to the mix. 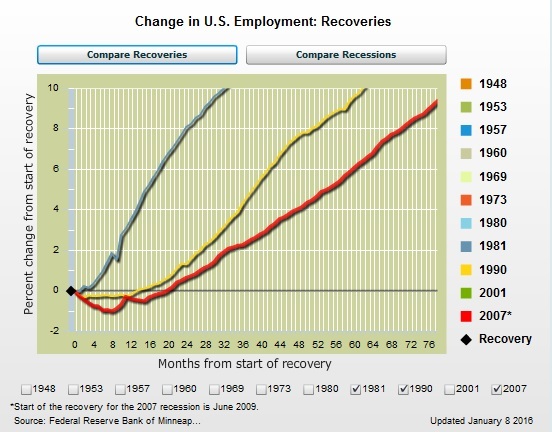 The following two charts from the Minneapolis Fed show the post-1981 recovery in blue, the post-1990 recovery in yellow, and the post-2007 recovery in red. These numbers don’t match up exactly with when presidents took office, but it’s nonetheless apparent that we got the best performance under Reagan, and also that Clinton was much better than Obama. Here’s the chart with the job numbers. And here are the numbers for gross domestic product. Party labels don’t matter. Policy is what counts. When the burden of government expands, like we saw with Jimmy Carter and Barack Obama on the Democrat side, but also with Richard Nixon, George H.W. 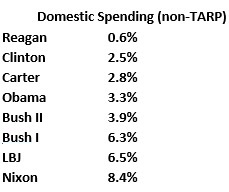 Bush, and George W. Bush on the Republican side, the economy under-performs. Similarly, when the burden of government is reduced, like we saw under Bill Clinton and Ronald Reagan, the economy enjoys relative prosperity.